A sales playbook is a collection of tactics or methods that characterizes the roles and responsibilities for you (and your sales team), lays out clear objectives, identifies metrics for measurement, and provides a common framework and approach for closing sales. Customer analysis – Identifies the market, key trends, key buyers and influencers, a profile of the ideal customer, the customers’ pain points and preferences and the critical business issues customers are trying to solve. Buying process – Identifies conditions or events that trigger consideration, evaluation, and purchase. What are the behaviors of a qualified lead? Company offer and value proposition – Describes and clarifies what your company offers and the ways in which your products and services address the customer’s pain points and business issues. Competitive analysis – Details how competitors position themselves in the market, their selling process, typical moves by each competitor, and recommendations on how to counter these moves. Sales methodology – Maps the customer buying process, and outlines your sales process, that is, the standard set of critical steps that move the customer to buy. While this section should outline the sales cycle stages and responsibilities, it should go beyond just describing the steps in the sales cycle. It should provide instructions on what information needs to be collected at each stage in the process, identify the players in each step, and how to assess the opportunity. Countering objections – Gives specific instruction on how to address each common objection sales might encounter. Best practices – Lists proven tips, techniques — and under what circumstances to use them. This section should also capture what hasn’t worked in the past and associated lessons learned. This entry was posted in Alignment, Marketing and Sales Alignment and tagged C-Suite, CEO, CFO, CMO, COO, customer buying journey, Customer Insight, Marketing, marketing accountability, marketing alignment, marketing analytics, marketing and sales alignment, Marketing and Sales Pipeline, marketing data, marketing strategy, sales, Sales Strategy. 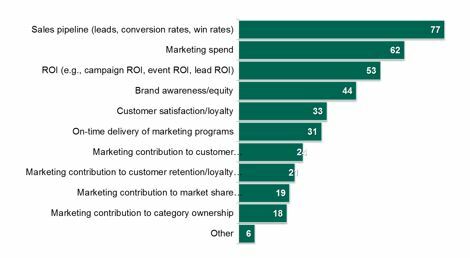 Companies who want to retain or expand their relationships with existing customers are finding that measuring and modeling customer loyalty is very valuable. We were recently asked “Do you need to measure loyalty if you are measuring retention-aren’t they the same thing?” Our answer, no, they are not the same thing, and you may need both. Retention is a measure of whether an existing customer continues to do business with you. That is not to be confused with loyalty, which measures a customer’s predisposition to select a business entity as a preference, and indicates a certain resistance to competitors. Loyalty is a behavioral disposition that suggests that a customer will consistently respond favorably toward a brand/company, and also suggests the willingness to engage. As you can see, there is a distinction and it’s important to understand that a customer who continues to do business with you may be retained, but not necessarily loyal. Advocacy–the extent to which a customer is willing to actively promote the company, such as online reviews, supporting the company’s position on an issue, participation in case studies, serving as a reference, or making referrals. What can customers do to reduce the cost of doing business with them? Customer loyalty is an intangible but extremely valuable company asset. By distinguishing retention from loyalty you can begin to understand the customer experiences, interactions, perceptions and attitudes that drive and impact loyalty. This entry was posted in Uncategorized and tagged Customer Insight, marketing analytics, marketing data, marketing measurement, marketing metrics, marketing plan, marketing strategy, strategic marketing, strategic planning.